The best possible gift you can ever give to your children is the whole wide world. Traveling is not only the best way to learn and see other countries. It gifts a lot of wonderful memories and experiences every one of us will carry forever. But it is not too easy to take your kids and travel the world. In fact, it might be some difficulties and obstacles you may face. To avoid that and to make traveling even more fulfilling, bellow you will find some best life hacks I found. It will make every trip with your beloved ones a lot funnier, cheaper and definitely more amazing. Then you are packing your kids clothing, use a simple trick that will help you and your kids a lot during a trip. Pack all clothing items your kid is going to wear in one plastic bag. Then pack other pieces for another day in another plastic bag as so on. 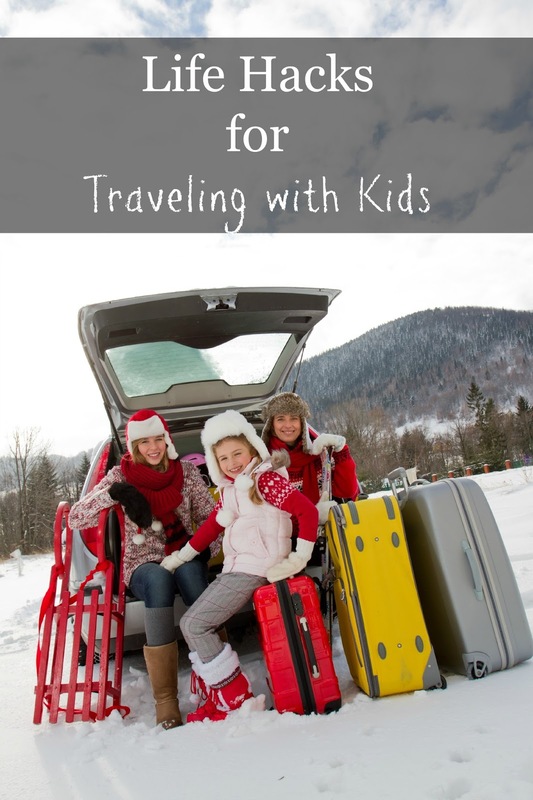 This not only let kids dress themselves a lot easier, but it works as a great planning strategy in luggage as well. From purchasing a luggage to booking a hotel, coupons can make a great price cutter for sure. In fact, there are so many of them you can prepare for a whole trip a lot cheaper. For instance, look at these Hotels.com coupons for bookings or these Target coupons from ChameleonJohn.com you can use for other necessary traveling stuff. Really – just find and use all coupons you need for trip preparations and it will be a lot cheaper instantly! You never know which boo-boos can come while traveling with kids. So you need to be prepared for everything! In fact, it is not so hard to make it by yourself. Just add Band-Aids, Tylenol, cleaning spray or other remedies you think your kids might need. It won’t take a lot of space and it surely will help a lot if needed. If it is possible, you can schedule your trip's time somewhere around that part of the day then your little ones are having their naps. That might help them (and you!) get through the long hours of journey. Of course, this life hack might work only on pretty short one or two hour trips, but if that is all that you need, try to do that! Of course, kids might get bored pretty fast then traveling so you, as a mother, need to think of activities kids can do. That might include everything you can imagine – from watching DVD’s, reading, to simple traveling games if you are traveling by car. It might turn out to be quite fun and it will let children forget about the time and just enjoy traveling. It might get pretty easy to eat only junk food while traveling, but that is not healthy and really not necessary if you pack some healthy snacks with you. Little carrots, apples or other vegetables with fruits are healthy, taste good and it will make kids full until the next stop. So don’t forget to pack some of this food and your kids will always be happy during a trip!